When you begin to eat healthier in order to lose weight with phentermine, without the dressings, added salt and sugar, some foods can seem very bland compared to the tastes you were used to. However, reduced fat meals do not have to be less appealing than their full-fat counterparts – just start experimenting with herbs and spices and your brain will score them with as high a taste rating as it would do a regular full-fat meal. Adding herbs and spices to your food gives your meals an ‘upgrade’ in more ways than one. Firstly, there is the extra flavor enhancement; a taste-test study comparing full fat meals (around 650 calories) and reduced fat meals (around 395 calories), some infused with spices such as paprika, oregano and garlic, and found that the spiced-up reduced-fat versions scored higher than some full-fat versions. This shows how the spices really made all the difference when trying to lose weight. Then, there are many additional health benefits, as herbs and spices contain many antioxidants, minerals, and vitamins. And last but not least, certain herbs and spices can actually promote weight loss. Here, we have the top 10 herbs and spices that can also help you lose weight and achieve even greater success while taking phentermine. This herb is valued for its ability to boost energy levels and speed up metabolism. Studies with panax ginseng, in particular, have shown that when obese diabetic mice were given panax ginseng extracts, they showed improvements in insulin sensitivity, but more importantly they were able to lose weight in just 12 days. This spice contains the compound capsaicin, which gives peppers their heat, and which also may help fight obesity by decreasing calorie intake, shrinking fat tissue and lowering blood fat levels. These benefits are thought to be due to capsaicin’s heat potential, whereby your metabolic rate is increased and there is more potential for fat-burning. Capsaicin has also been found to lead to a decrease in appetite and an increased feeling of fullness, leading to reduced food consumption and more chance to lose weight. Turmeric is the highest known source of beta-carotene, an antioxidant which helps protect your liver from damage. This popular spice, used primarily in Indian cooking, also helps your body metabolize fats by decreasing the fat storage rate in liver cells. Therefore, by making your liver more effective in its functioning, turmeric helps your body burn more fat and therefore lose weight. This aromatic spicy-sweet flavored spice has heating properties, boosting your metabolism and therefore your body’s ability to burn fat and lose weight. Studies have also shown that cardamom can aid in lowering blood sugar levels and regulating insulin, as well as lowering levels of cholesterol. Ginger is another warming spice, and with its anti-inflammatory properties it is known to help soothe and relax your intestinal tract making the digestion of food easier. Its heating properties may also boost your metabolism and have an appetite-suppressant effect when consumed, suggesting its potential to help you lose weight. Garlic is widely used around the world for its pungent flavor as a seasoning or condiment. It contains phytochemicals, which break down cholesterol and fatty deposits in the body, so adding garlic to your food in fresh or powdered form may help your body metabolize carbohydrates and fats more efficiently. Through this, garlic can also help you to lose weight as it has the ability to stop the body from creating more fat. The mustard plant is actually in the same vegetable family as broccoli, cabbage and Brussels sprouts. Mustard seeds have been shown to boost metabolic rate by 25 percent, and in fact, just 3/5 of a teaspoon of mustard seeds daily may help you burn an extra 45 calories an hour. Black pepper contains a substance called piperline, which blocks the formation of new fat cells. When combined with capsaicin (found in cayenne pepper and chilies), black pepper was also found to burn as many calories as a 20 minute walk. A 2009 study found that just the smell of peppermint can help to decrease appetite. Participants who spent a week smelling peppermint before they ate consumed an average of 1,800 fewer calories throughout the week than the control group. It’s easy to benefit from the weight-loss assisting properties of herbs and spices; simply start by adding more garlic and pepper to your vegetable dishes, soups, and stews, as well as antioxidant-rich oregano. Spices such as turmeric, mustard seeds, and cardamom will add authentic Indian flavors to curries, ginger works really well with fish to add a spicy flavor, and ginseng root can be thinly sliced and added to stir fries, meat dishes, or soups. Peppermint flavor green tea combines the fat-burning properties of the tea with the appetite suppressing aromas of the peppermint, and while cinnamon can be sprinkled onto your morning oatmeal, it works just as well with savory recipes to add an unexpected subtle heat. 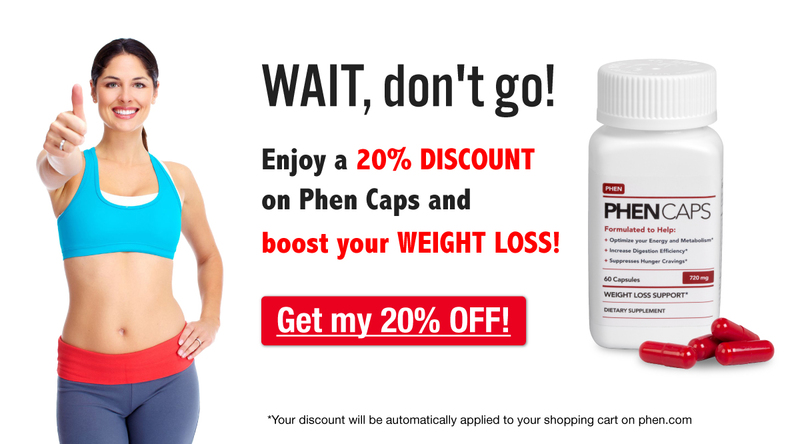 While phentermine will suppress your appetite and make it easier to avoid giving in to your cravings, any extra help is always welcome when you’re on a weight loss journey heading for your goal weight. What’s more, spicing up your food is a way of improving the health benefits, as well as the flavors of your meals. Plus, learning how to maximize flavor without adding calories and fat is a way to ensure you’ll continue to eat healthily once you reach your goal, making maintaining your new weight that much easier. We’d love to hear from you if you have any questions or comments, and it would be great to hear some of the ways you use herbs and spices in your cooking, so please comment below!